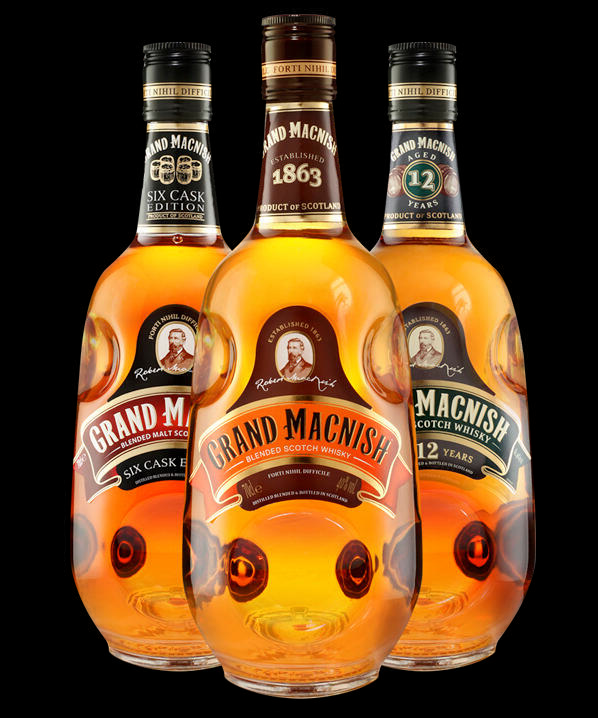 GRAND MACNISH ORIGINAL, in continuous production since its birth in 1863, is one of the oldest blended scotches still in the market today. It was the brainchild of Glasgow merchant, Robert McNish, who had a vision to create a lighter, smoother scotch whisky compared to the harsher whiskies of the day. Our Master Blender strives to continue Robert's proud heritage maintaining Grand Macnish's unique presentation and distinctive taste.